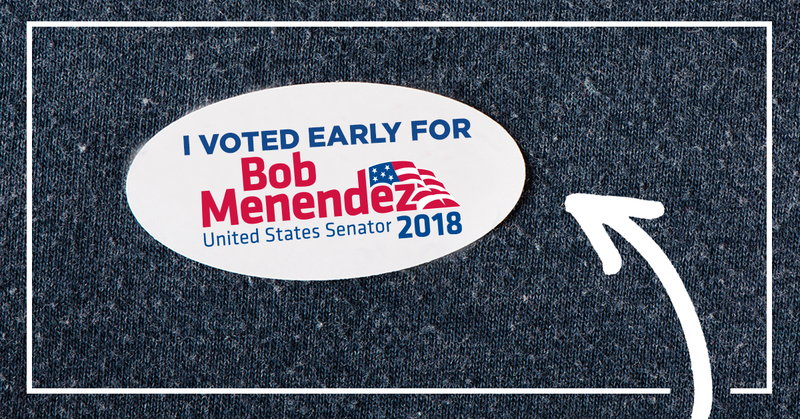 You don’t need to wait until November 6, you can vote for Bob today by mail or at your local county clerk. Register to vote here by 10/16. 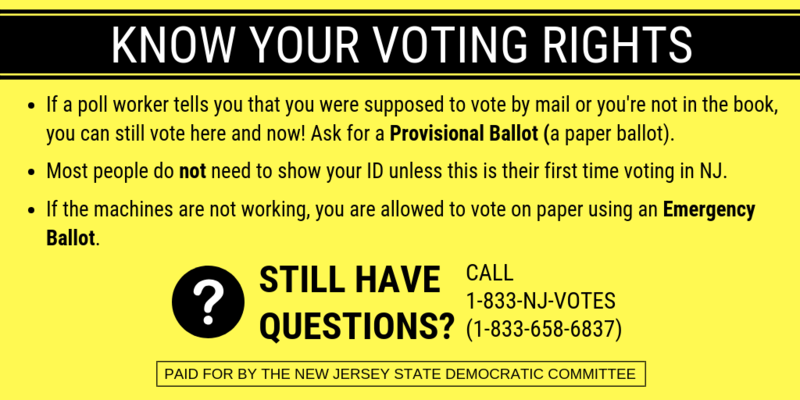 You do not need an excuse to vote by mail in New Jersey. In the past you had to be sick, elderly, or permanently disabled to vote “absentee” (a term no longer used). Anyone can vote by mail provided they are eligible to vote and registered. ● Apply once on the new Vote-by-Mail application and vote-by-mail forever. Simply check the first box in the upper left corner of the VBM application and you will automatically receive allballots in the mail going forward for every election. You will no longer have to reapply every calendar year to vote this way. ● There are NO limits on the number of VBM applications any one person can assist in collecting. ● Registered New Jersey voters, regardless of county in which they reside, are the only people who can assist a VBM voter with their application OR serve as a ballot messenger OR serve as a ballot bearer. ● Candidates are permitted to assist and collect as many VBM applications as they’d like BUT are prohibited from messengering or serving as a bearer of a ballot other than their own. ● Current law says a single New Jersey voter can messenger up to 3 VBM ballots and can serve as bearer for up to 3 VBM voters — two separate things although in most cases the messenger and the bearer are the same person. The technical definition of a messenger is someone bringing the VBM ballot to a voter. The bearer is the person responsible for transporting a ballot to a mailbox or hand-delivering it to the county Board of Elections. ● Do NOT put stamps on VBM applications or VBM ballots as a favor to the voter. It is against the law to provide a thing of value to a voter. Some counties already have pre-paid postage on VBM applications and/or the VBM ballot. ● Be sure to remind every VBM voter to sign their ballot as instructed or else their vote won’t be counted. Election law does not recognize Power of Attorney for signing ballots. Voters must sign their own ballot or else make it known to the county Superintendent of Elections (aka Commissioner of Registration) that their signature has changed due to medical condition. ● If you sign up to Vote-by-Mail and change your mind and want to vote at the polls, you won’t be able to vote using the machine. You will have to vote provisionally at your polling place, which is exactly the same ballot as a VBM ballot. Every polling place has a supply of provisional ballots. Once signed and sealed, your ballot will be placed in a red sealed bag which will be delivered to your county Board of Elections as soon as the polls close. Your ballot will be counted within 2-3 days of the election, in accordance with the law. ● October 30 – Deadline to apply for a Mail-In Ballot by Mail for General Election (not less than 7 days prior to election) N.J.S.A. 19:63-3 by 4:00 PM. ● The deadline for returning your mail-in ballot is by the close of the polls at 8 PM on Election Day (hand-delivered to your county Board of Elections) OR they can be postmarked by Election Day and received within two days after the election. ● If you change your address after having applied or voted by mail in the 2016 general election, you will need to reapply to vote-by-mail in your new county. The County Clerk handles VBM applications while the county Board of Elections handles VBM ballots. ● If you applied to vote by mail or voted by mail in the 2016 general election, you will automatically receive all election ballots by mail from here on out, unless you send written notification to your County Clerk to opt-out of voting by mail. While state statute does not directly deal with this deadline, you can assume the latest you can opt-out is October 16, 2018, which is the deadline to register to vote. ● If you register a new voter who wishes to vote by mail, the voter registration form must be processed first before (at least one week before) submitting the VBM application, otherwise election officials will have no record upon which to base the VBM application. There are two different election agencies involved in this process — the county Superintendent of Elections handles voter registration while the County Clerk handles VBM applications. ● Check with your county clerk to see if they share office space with other county election agencies to facilitate Monday through Friday early voting during regular business hours — meaning you can apply to vote by mail and cast your ballot at the same location any time between September 24 and 8 PM on Election Day. Some counties offer early voting with extended evening hours or on weekends. Be sure to ask.